We are saddened to announce that Ms. Dantes has passed away at the age of 88. The last couple years of her life were marked by worsening congestive heart failure and impaired breathing that increasingly robbed her of strength and energy. Her heart finally gave up at 4:30 am on Saturday, April 21, 2018. Her final weeks were quiet. She saw a few friends, but infrequently, because she needed to conserve her energy to get through the day. Not blessed with a strong body, she was born with congenital heart defects and experienced life-long issues caused by a serious bout of diphtheria in her youth. Through scrupulous personal care, a very disciplined approach to diet, and the help of gifted and caring physicians such as Dr. Gary Foresman and, later, Dr. Karina Garcia, she accomplished much despite her physical limitations. 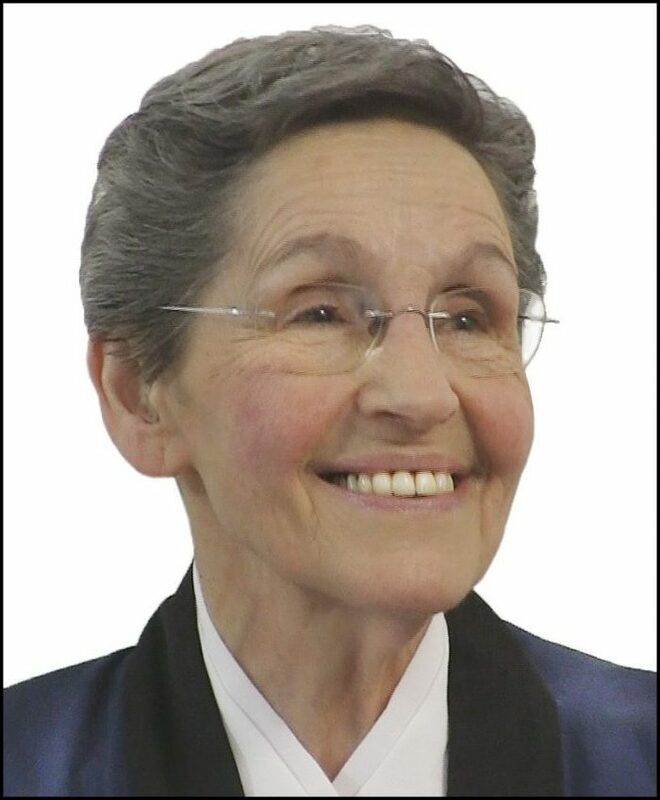 This included authoring three books and numerous articles, conducting thousands of public and private dialogues and leading a non-denominational retreat house for over 20 years. Her selfless work with people was her life, and tremendous energy and drive emerged from her huge spirit. Though she denied having a particular “teaching”, her work consistently emphasized compassion, caring for the other, 100% responsibility in all one’s activities, and relentless inquiry. Strenuously avoiding the mantle of “guru”, she insisted on “respecting the intelligence” of all who came to see her. Regardless of the gathering, she always created an environment in which each person could discover his or her own wisdom through meditation, reflection and dialogue. Ms. Dantes abandoned the psychotherapy in which she had been trained earlier in life and began a life of inquiry in her early forties. Following an intense personal experience of the suffering of humanity, she investigated the Human Potential Movement. She trained with Zen Master Kobun Chino Roshi and traveled extensively in India and Nepal, speaking with Hindu and Buddhist spiritual leaders as well as medical and healing professionals. Eventually, she began to present to others an inquiring approach to spiritual unfolding that was based on her own inquiry and experience rather than any specific tradition or belief system. She focused on a deeper comprehension of the “self,” zen-like in many ways, that would free the individual from a life of “shoulds” and allow a life of spontaneous, loving action. Most people who experienced her unconditional love and gentle but probing inquiry would also discover in themselves the possibility of transformation. Ms. Dantes’ contribution to the ongoing unfolding of consciousness was unique. In her many gatherings, each participant who engaged in dialogue with her could feel as if they were the only person in the room. She never trained anyone to replace her, but rather encouraged her volunteers to continue to serve humanity in whatever way was natural to them. The retreat house in Nipomo, where so much wonderful work was done, eventually became too difficult to maintain and was sold in April of 2016. Ms. Dantes then moved to Valle Verde Retirement Community in Santa Barbara, CA where she resided until her death. She had always encouraged her volunteers and friends to listen to the wisdom of others not just herself. After selling the retreat house, the Center for Holistic Living made the decision to continue her legacy on their website offering the wisdom of her writing and videos, as well as the wisdom of others, as a service to all who wish to inquire into their unfolding consciousness. To the end, she embraced life and death as an undivided process, exhibiting the same patience, dignity, compassion, and caring in dying as she had in living. She is survived by a son and daughter. A memorial service in Santa Barbara, will be held on May 20, 2018.